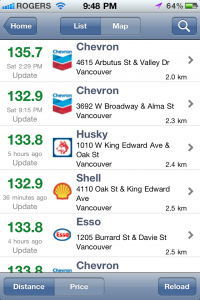 Today, GasBuddy, the app that helps users find cheap gas, has been updated to version 1.05. GasBuddy is one of those apps that takes advantage of crowdsourcing. It will use your location to find the nearest gas stations and list them by distance or price on a map or list. Stations such as Petro Canada, Shell, Esso, and Chevron have their respective logos and users with enough ranking points can even post photos of individual locations. Find the cheapest gas on the go â€“ for free! In one click, locate gas stations near you and see their current gas prices. Never overpay for gas again. For every gas price reported, youâ€™ll earn points toward prize give-away entries. We give away a $250 gas gift card every week. GasBuddy is a community of users working together to update gas prices â€“ help everyone save on gas! Gas prices for USA and Canada only. – Added a button to report prices from the list. – Added additional station logos. – Improved search keyword recognition and result sorting. 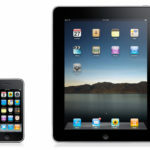 – Fixed crashing on iOS 3 devices from version 1.03. – Fixed loading issues, network connection errors, freezing on price submission. – Fixed selected a state for the prize give-away. – Favorite stations coming in the next release. – Filtering stations by distance, brand, and time reported. 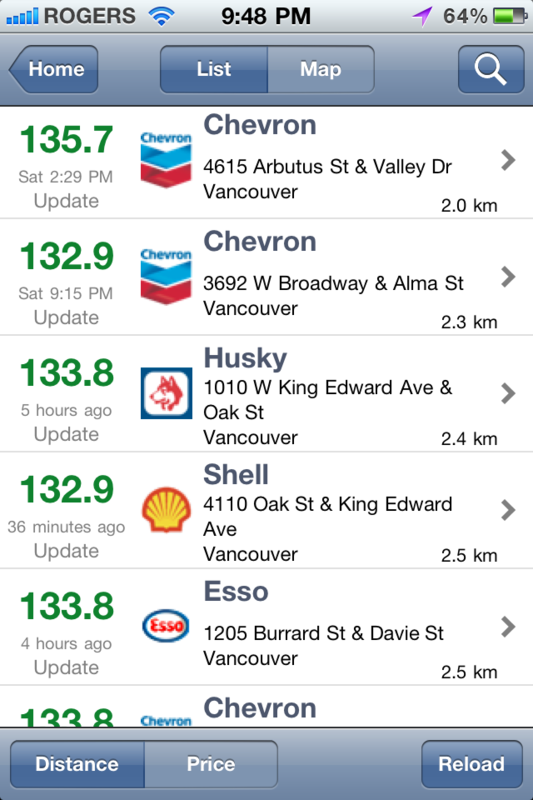 GasBuddy is available in the App Store for free.Â Click here to download.